Escheresque | Just Shooting Memories! 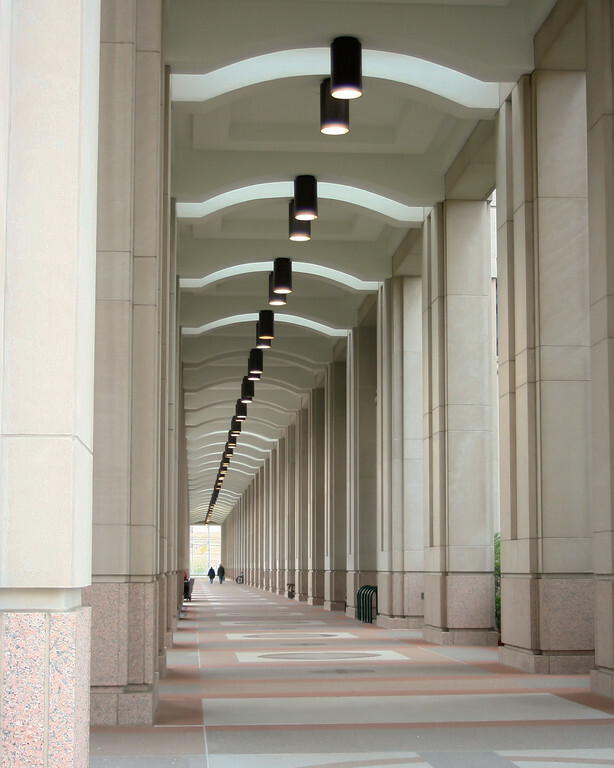 Walking around the Indiana state capitol, I ran across this walkway that was along the side of one of the buildings. I expected to look at the other end and see people walking along a ramp going at a physically impossible angle. When I made it to the other end, it was not so.